Simple and delicate, Surface brands the centre of your dining table! 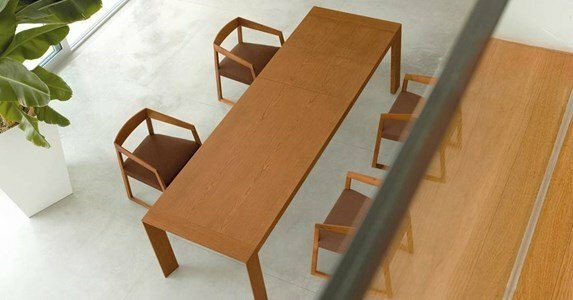 The straight outlines, combined with the chosen materials make Surface a family table. No worries, Surface can extend up to 288 cm!!!! It comes with 2 extensions, 50cm each. Made of oak plywood, in wenge and walnut colours, Surface is also available in white beech plywood. 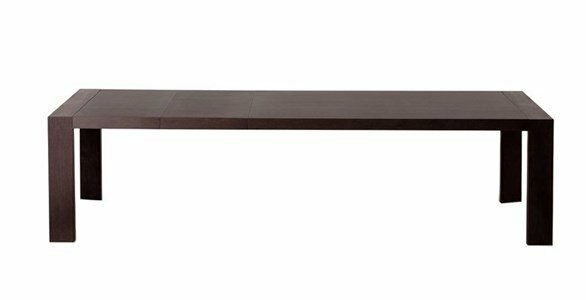 The table legs are thick and bezeled, resistant and stable. The extensible parts are guided by aluminum eaves, that allow them to slide smoothly.